Two Sessions (CPPCC and NPC) of Tibet Autonomous Region (TAR) is coming. 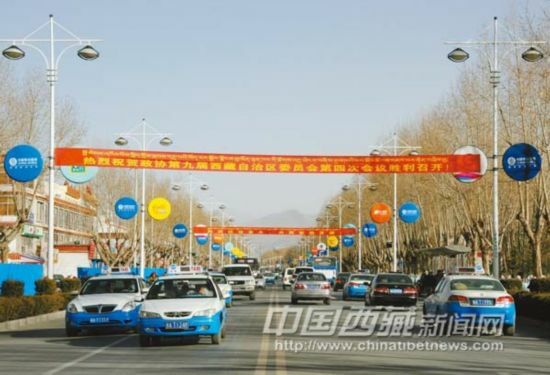 Lhasa, capital city of TAR hangs on banners for celebration, photo from China Tibet News. Tibet CPPCC members: We are ready! 1Tibet CPPCC members: We are ready!